This isn't really sci fi... but Wat the hell I got nothing to do at the mo. If users think it is sci fi enough I can make a proper detailed post in the tv series section (I do not think it is though) I didn't find season 2 and season 5 is only a few eps old ... .. . Such a simple idea--yet so fiendishly complex in the execution. 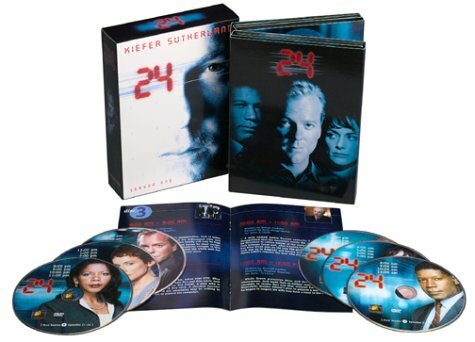 24, as surely everyone knows by now, is a thriller that takes places over 24 hours, midnight to midnight, in 24 one-hour episodes (well, 45-minute episodes if you subtract the commercials). Everything takes place in real time, which means no flashbacks, no flash-forwards, no handy time-dissolves. Every strand of the plot has to be dovetailed and interlocked so things happen just when they should, in the right amount of time. Not that easy. The first post of this thread should be edited.